I am sorely behind in taking good pix of my latest equipment. Stay tuned. 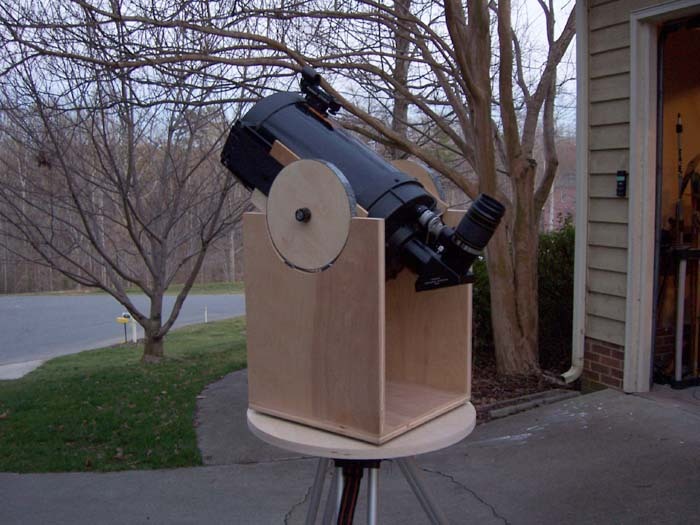 For quick visual work I have adapted the C8 to a Dobsonian-style mount. Details for this project can be found here.